went to barn today, but ended up not being able to ride since it was so wet and Aramis was so frisky... and because he stepped on my toe! 1500 pounds of horse on your toe is pretty intense. i don't think it's broken though, so i'm trying to just ignore it. it's looking like we might not be able to do much on Wednesday either... since it might rain again! apparently, the Monterey peninsula has a rainy season and this is it... and then we'll be back to never getting any rain. in today's Basically... post i want to share with the cuticle balm i've been using lately! i use Badger Cuticle Care at night while i'm watching tv because it is a bit oily and leaves your skin way too shiny to be able to take pictures right afterwards. it has a nice citrusy herbal scent that is really soothing, it reminds me of the Badger aromatherapy balms! plus, as i'm sure you've all noticed, i'm a sucker for packaging and this comes in a little tin with an adorable badger on it! this product moisturizes well, but like most things... it works best if it's used regularly. 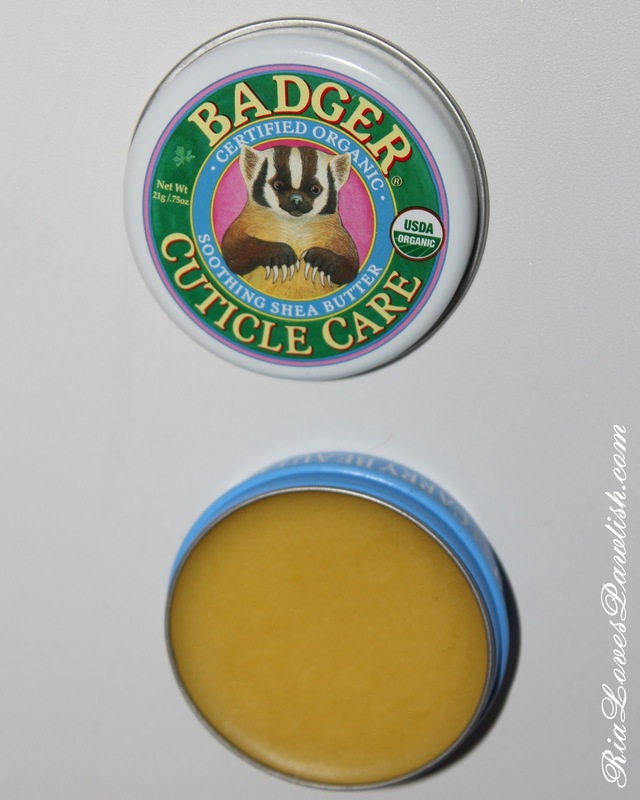 this product retails for $5.99, the best way to find places the sell Badger Cuticle Care and other Badger Balm products is to use the store locator on their website (you can also order directly from them), i bought mine at Ulta! What Else I Found In Phoenix! What I Found In Phoenix! Haulage... Layla, Pixi, and Estee Lauder!